Play soccer anywhere you like with these handy and foldable pop-up goals with bag. Height &.. This comes with all the fairy tale features that the Cabin has plus its own slide and stairs. A..
An extremely sturdy and weatherproof hammock stand made of FSC-certified wood for LA SIESTA Single h.. Your child safe with a CoConuts helmet At Co&Co we like to make stuff that is fun, high quality..
Sunnydale is a great swing set for small yards, but has features only found in larger backyard play ..
In-ground trampoline. 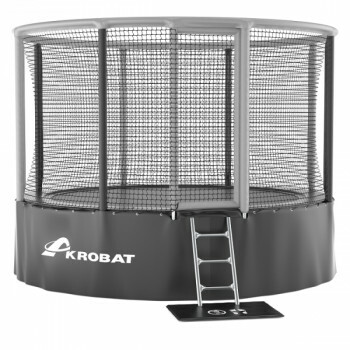 Our top-range in-ground trampoline can be used by beginners, top athletes, and..
D. Throne, children’s electronic car manufacturing brand, has conducted the development of the third..
General InformationManufacturer: InterAtiletikaType: Swedish WallWall structure: standingMaterial: m.. Play fun for the little ones with this cute wooden playhouse in fairy tale style with crooked doors .. The weatherproof Allround talent for all the family The DreamlinerStandard is the basic version of ..
Extra-large family hammock Flora Zebra, made of organic cotton and certified by GOTS. This premi.. Play soccer with your friends with this large and robust soccer goal with target wall. Height&nbs..
Up to four children can let off steam at the same time with the big Multi-Child Swing® L,. There's n..
Colour: BlackProduct Cable Color: BlackLight Source Color: YellowWidth/length (cm): 360.00Height (cm..
With this 3-in-1 multi-functional sport system you can play tennis, badminton and volleyball. Hei..
Hammock stands made of powder-coated steel tubes. Put it up ortake it down in a flash using the Plug.. Bed width : 115 cmTotal length : 150 cmCloth length : 60 cmTotal height : 110 cmLength of the bar : .. Choose one of the beautiful tent sets and make up your dream tent anywhere you go. The PL-UG tent ki.. Swing Nest is perfectly suited for indoors or outdoors. Different colors and special design ma.. Swing chair Nest is perfectly suited for indoors or outdoors. Different colors and special des..
Colour:	pink/whiteHeight:	133 cmWidth:	94 cmDepth:	102 cmInterior dimensions:	89 x 97 x 128 cmWindow.. This playful dog house is a treat for both dogs and dog owners.Not only will this dog house look ama.. Height: 40 cmWidth: 51 cmDepth: 43 cm..
Colour: TransparentProduct Cable Color: BlackLight Source Color: Warm whiteWidth/length (cm): 500.00..
Colour: GreenProduct Cable Color: GreenLight Source Color: YellowWidth/length (cm): 570.00Height (cm.. The Weerol Many-Use Toy is a modern, heirloom quality wood toy .. The hammock stand for LA SIESTA baby hammock Yayita.The bamboo wood is top-grade and comes from resp.. Comfortable tipi tent with cushions ideal for any playroom or living room.Recommended age	3 ye..
Dimensions: 119 x 108 x 75 cm (without umbrella)160 x 160 x 180 cm(with umbrella)Material: ceda..
Dimensions: 141 x 141 x 62 cm (without umbrella)160 x 160 x 180 cm (with umbrella)Material: cedar FS.. Relaxation just doesn’t get any more stylish or comfortable than this! Even working is fun in this e.. The XL LifestylePlus swing is the relax chair in a contemporary design! It provides ample space for ..
You can add a stylish quite zone anywhere in your home with this designer swing. Using a minimum of.. The LifestyleStandard is suitable for both indoors and outdoors and for all age groups: - Ideal lou..
Let your little ladies and gentlemen transport back to the elegant Victorian times within all the co..
Vinci Media – the world innovation of children games is the new addition to the Vinci Group Family a.. The Timberlake Playhouse is a great playhouse that the whole gang will love. It has wide windows tha.. The Spring Cottage is a beautiful and quite large cottage wih picnic bench and fully stocked kitchen..
Dimensions: 429.6 x 438.5 x 300.4 cmLength slide: 245 cmMaterial: cedarRecommended age: 4+ yearsIncl.. Copyright © 2018, E-Laukumi.lv, All Rights Reserved.